HUBBARD, Lafayette Ronald, author, explorer; b. Tilden, Neb., Mar. 13, 1911; s. H.R. & Ledora May (Waterbury) B.S. in Civil Engineering, George Washington U. That Dianetics and Scientology have contributed something is attested by the fact that by them we can raise the intelligence quotient of a person about one point per hour of processing (simple mental exercises) — a thing which was considered impossible a few years ago. Their stress is on ability and, with them, the general skill and efficiency of a person can be raised and the raise can be tested by very severe regimens and can be found to be stable. There are many thousands of people using these subjects professionally in the world, and many others of the healing professions have used these skills more or less without credit. Much of Hubbard’s early youth was spent in the American West and he travelled extensively in Asia as a young man. Crippled and blind at the end of the war, he resumed his studies of philosophy and by his discoveries recovered so fully that he was reclassified in 1949 for full combat duty. It is a matter of medical record that he has twice been pronounced dead and that in 1950 he was given a perfect score on mental and physical fitness reports. From 1930 to 1932 Hubbard was a student at the George Washington University where he claims to have studied engineering and to have been one of the first men to have studied nuclear physics. He has claimed, or allowed the claim to be made and repeated frequently without denial by him, that he is a graduate of that University in civil engineering, and he uses, and allows to be used in relation to himself, the letters “B.S.” and “C.E.”, intending to convey the impression that he has so graduated. In fact, he has no such qualification. He claims other academic distinctions also – “many degrees” it is said – but the only “university” degree which is identified is that of Doctor of Philosophy at the Sequoia University, Southern California. The Board caused inquiries to be made as to the identity of this university and was informed by the Australian Consul-General in San Francisco that the Sequoia University was a privately endowed institution which was not accredited, that is, not registered with the Western Association of Schools and colleges, which is the accrediting body for the west coast of America. 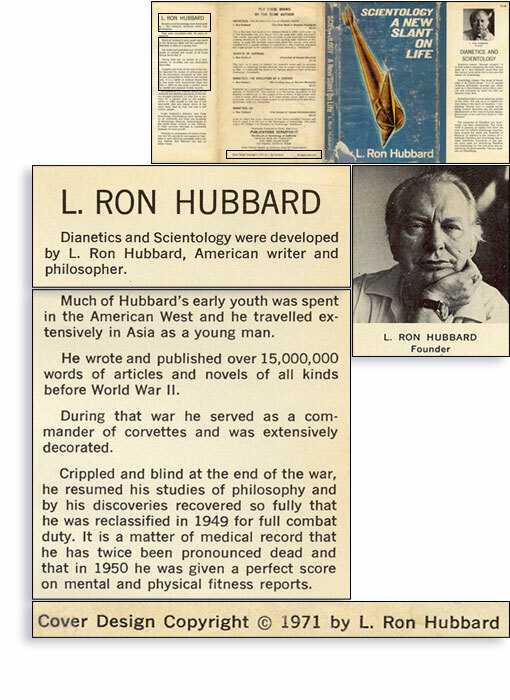 This somewhat suspect degree and a self-bestowed doctorate of scientology enable Hubbard to describe himself and be described as “Doctor” Hubbard. Though he writes extensively on medical matters, there is no basis for regarding him as a doctor in the medical sense.